West Valley City, UT- SilencerCo and Noveske Rifles announce a multi-faceted partnership to make the best rifles in the world even better. To start with, every Noveske rifle going forward will feature a SilencerCo muzzle device - Trifecta RS flash hider or muzzle brake - ready to mount a SilencerCo silencer. 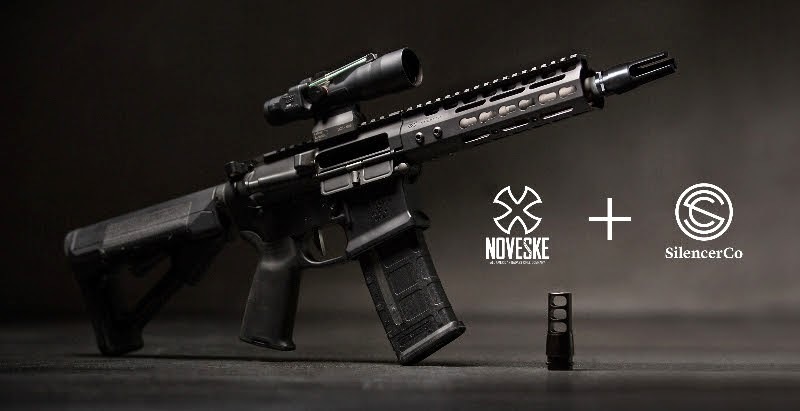 The first Noveske rifle (8.2” 300BLK Gen 3) featuring a SilencerCo muzzle device was auctioned this past weekend at the NRA/ILA live auction in conjunction with day and night optics and a hog hunt in TX.